It has never been easier to compost! How did you hear about us? Where will we pick up your bucket? Perennial City is on a mission to transform vacant, unused land in North St. Louis into beautiful and productive urban farms. We have begun work on 2.5 acres in the West End and Visitation Park neighborhoods, North of Delmar. This is made possible by your support of Perennial City Composting! Subscribing with us doesn't just keep those valuable scraps out of the landfill – your finished compost serves as the foundation for growing a more vibrant and healthier St. Louis through urban food production. We're excited to grow with you! Founder of Perennial City, Registered Dietitian, and passionate gardener. 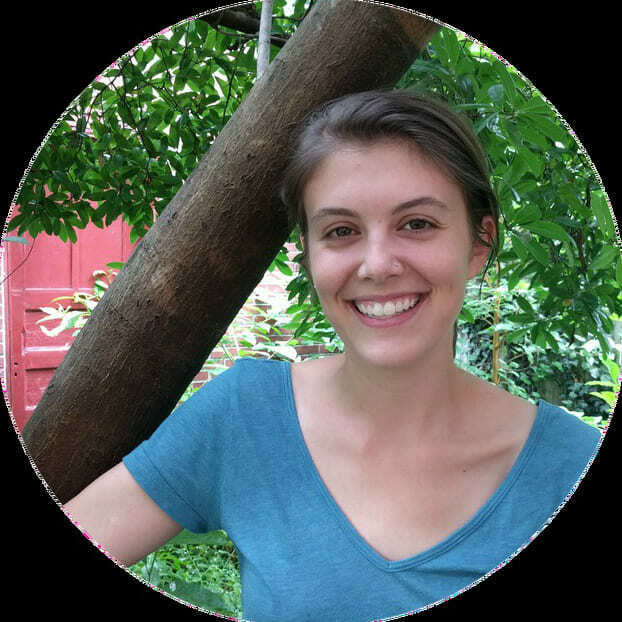 She earned her Master's in Nutrition & Dietetics from Saint Louis University and considers herself a budding "soil dietitian." She is forever learning more about the fascinating microcosm that is the ground we walk on. Beth's vision is for Perennial City to be a catalyst for increased hyper local food production in the city of St. Louis and to cause people to rethink what we throw away. Perennial City co-founder, founder of Food Pedaler, and (most importantly) St. Louis's number one fan. Tim's universe expanded while completing a Permaculture Design course with special folks in Old North. He dreams of thousands of abandoned acres in North St. Louis transformed into food forests, adorned with beautiful homes built by the people who live in them. 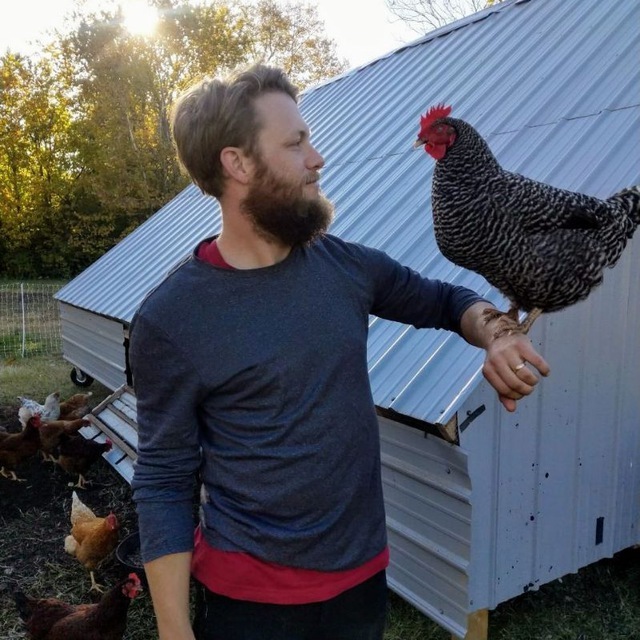 He's working to see a self-sustaining St. Louis that is a beacon for urban agriculture professionals from all over. "Perennial City is an extremely friendly organization doing AMAZING work for the STL community. They are always super prompt with customer service and helpful text reminders to set out your compost on your stoop. The subscription amount feels truly minimal in the broader context of the amazing service that this team is doing for the earth and for our community. Our would-be garbage turned into community farms?! Magic. Thanks guys." "Great experience! I was looking for an option to start composting and stumbled upon the website. Beth responded very quickly to all my queries and made composting so easy!! Truly amazing service! We were provided with a nice magnet as a reminder on what we could compost and they provide us a fresh bucket every week with coffee chaff to control the odors if needed. Feel Greatful that I can do a little bit to help the planet and keep the good stuff out of landfill." "Love this service! Such a small price to pay for a healthier planet. Plus, they always answer questions quickly and seem very friendly. If you're in a neighborhood they service, I highly recommend them!" "I could not have asked for a better experience! Perennial City makes composting so incredibly easy with clear and simple instructions and the convenience of picking it up at your door. I thought composting would be very difficult living in an apartment, but it has been the exact opposite thanks to Perennial City." We are delighted to help St. Louis City and Midcounties keep the good stuff out of landfills! Touch a neighborhood to see its pickup day. 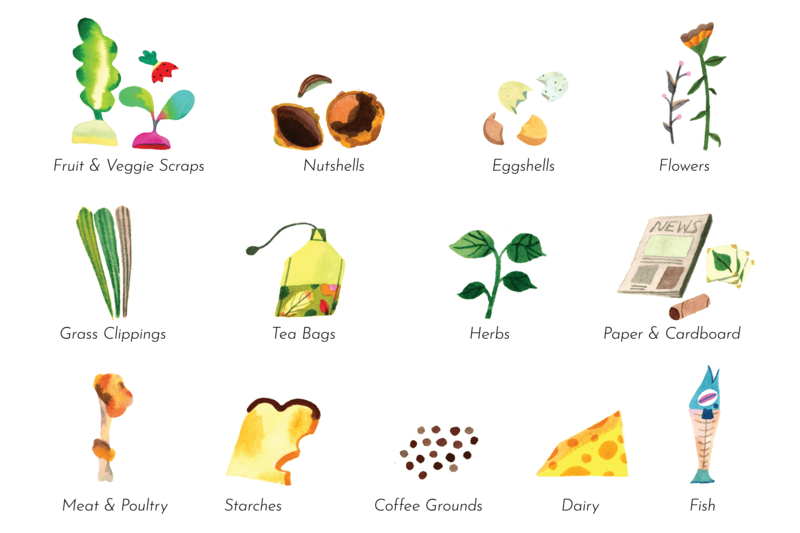 Is there anything I can't compost? Please leave personal care products, human or pet waste (including hair, nails, etc), liquids, and waxed paper out of your bucket. Do not include dryer lint or vacuum cleaner particulates, they contain collected synthetics. Thanks for working with us to make the best compost possible! I live in an apartment building. Will you be able to pick up my compost? Most definitely! We'll work together to determine the best spot to set out your scraps. When subscribing, leave a thorough description where we ask about pick up location. Can I leave my bucket outside? Please store your bucket inside to avoid attracting pests and reduce odors. How do I keep my bucket from getting smelly? We give you a bag of odor preventer with each pickup. Layering it between each addition of scraps helps absorb moisture and reduce odor! When does my susbcription start? We'll drop your bucket off the on the first pickup day for your neighborhood following your sign up. If you sign up early on the day your neighborhood gets collected, we are sometimes able to drop off that day. Hey, wait, so what does bi-weekly mean? Yeah, it's kind of confusing. We had to google it, and apparently it can go either way. In our case, it means we're picking up every other week. This is ideal for households of two or less. Our buckets are 4 gallon capacity, square-shaped for space efficiency. They conveniently fit under your sink or in most cabinets. Can I compost my used paper towels and napkins? Paper towels and napkins with food remnants, dirt or water are perfectly good to go in your bucket! Please do not include paper towels or napkins with any sort of cleaner on them. Do I need to be home when you pick up my bucket? When will my bucket be picked up? We make pickups between 7 a.m. and 5 p.m on your neighborhood-specific pickup day. We'll send you a helpful text the night before! Aw, man! My neighborhood is not listed on your Service Area page. Can I still join the Perennial City Team? For the best experience possible, we have a specific service area. If you aren't in one of our neighborhoods, and want to be a part of what we're doing, email us at howdy@perennial.city, we'll see if we can can help you get composting, and let you know if we add your neighborhood. Where do my scraps go? We turn your scraps into amazing compost right here in St Louis's West End neighborhood! You are helping to build urban farms and the local food web with what would otherwise have been waste! Can I get some of that sweet, sweet compost? Sure thing! Team members have the option to receive a compost giveback once yearly. It takes about 6 months to get it perfect, so that is how long we ask members to be with us before receiving their first compost giveback. I'm interested in your services for my restaurant. Can we set that up? What happens if I lose or damage my bucket? You will be requested to pay a bucket replacement fee of $15. Do you provide composting services for events? Let's chat! You guessed it: Send us an email. Beautiful Illustrations by Haejin Park.